We’ve been on the road since Feb. 24, but we will be completing the final leg today to settle in Oregon for the next 7 months! Before we do, I figured I’d squeeze in a last-minute March edition of “Currently.” I enjoyed sharing “Currently” last month and maybe I will make it a regular part of the blog!! Current mood: a little anxious and overwhelmed … you know, the typical ingredients for a major life transition. Although, we should be used to this by now! When we experienced 20 MPH sustained winds in Ohio, we thought, oh boy. Well, hopefully that’s the worst of it. When we experienced 35 MPH sustained winds in Iowa, we thought, help us, Rhonda. Can’t get much worse than this, right? When we experienced 45 MPH sustained winds in Wyoming … Well, we are still cleaning the stains from our seats. 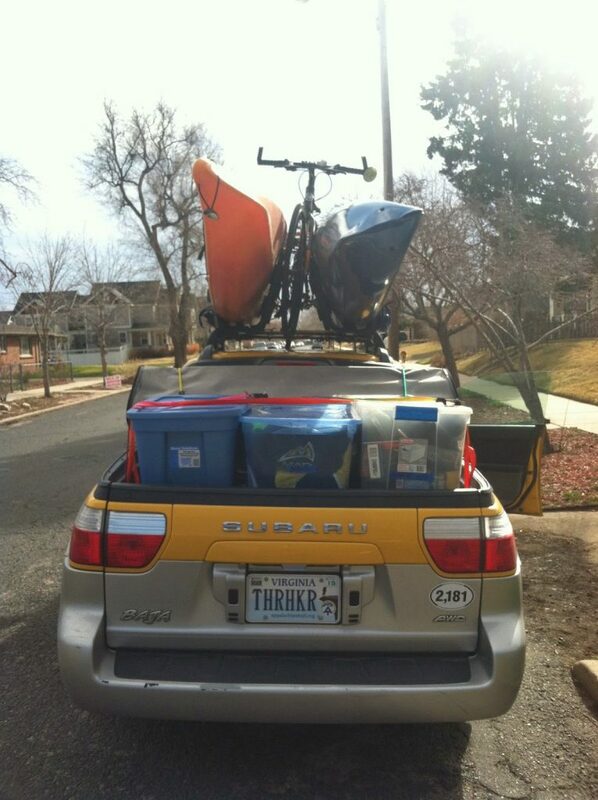 The question is, how much stuff can we fit in the Baja? Don’t worry, that box on my lap was shipped! Currently excited about: tenants signing another year lease at our rental house in Danville! Currently regretting: buying a house in Danville … okay, not really, but we are dropping a bit of money on repairs, which is never very fun. Currently proud of: J finding a way to contribute to our income by eBaying. I don’t mean this as a joke; he makes more money than I do with my freelance writing these days! For example, we bought some signed Grateful Dead record (minus Jerry’s signature) at an estate auction years ago for $20 .. sold it $255 buckaroos!!! He did also try to win big in March Madness pools, but Louisville and Arizona messed it all up. Currently reading: NOTHING … life on the road does not allow for a reading routine. But, we are listening to an awesome audiobook: Stephen King’s 11/22/63. So, so good, but it is 30 hours long! Not even sure we will finish it by the time we get to Oregon. 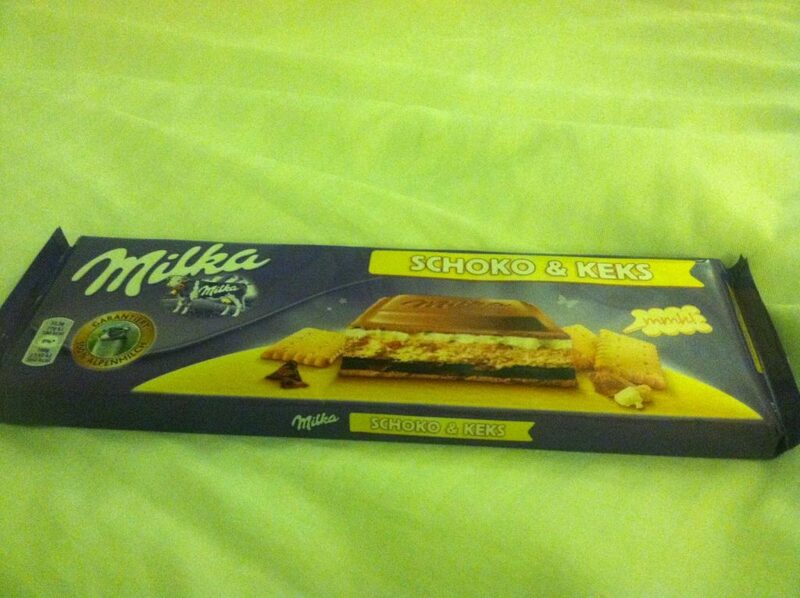 Current guilty pleasure: Milka bars that J’s mom brought back from her trip to Europe. And In & Out Burger that we ate for dinner last night! A new adventure is almost starting! 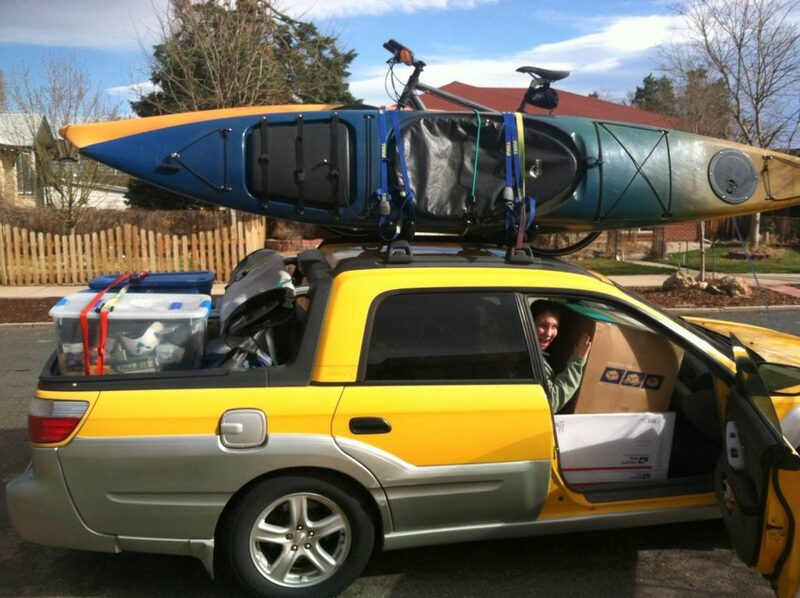 Yes, I've worried many times with kayaks on the top of the truck! I think you were on the news today – is it: Big bird? Holdovers from the 60s? Mentally defective drivers? Dreamers?